This family-friendly event is open to all members of the community. 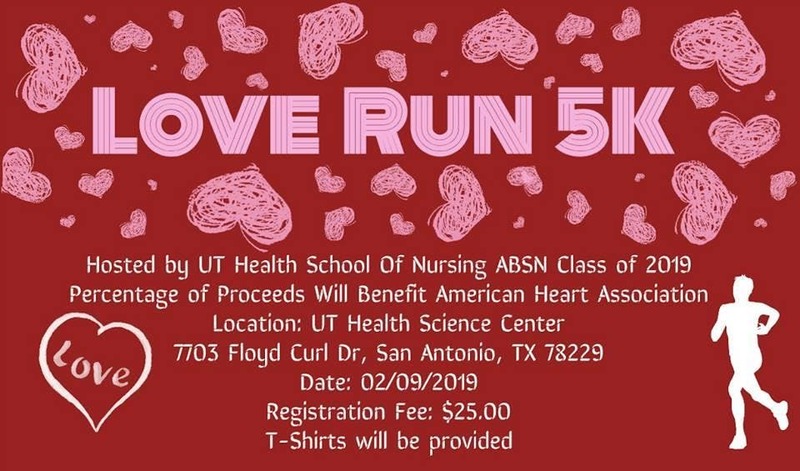 February is national heart awareness month and in support of this campaign, all proceeds from the run will be donated to the American Heart Association. As future nurses, we are aiming to promote health and wellness among our school and community. Please consider partnering with us to support the Love Run 5K. Your generosity will not only help us host an entertaining and health-focused event for faculty, staff, students, and the community, but will also support education, research, patient care, and service in our community and through the American Heart Association. Please arrive by 8:30 am for registration! ***T-shirts will be provided for those who register by 1/21/2019!